Barack and Michelle Obama are household names. Who doesn’t know them? When have often noticed their immense and pure love for each other and the camera has had its luck in capturing some cute moments of the couple together, that has truly made us go AWWWWW…. Yet whatever we have witnessed is just a glimpse of the deep love they share, where as the beginning is more than two decades old. Barack and Michelle met in the year 1989 at a Chicago Law Firm, where Michelle Robinson was mentoring Barack Obama. Soon they began to date, and on their first date Barack took her to see the movie DO THE RIGHT THINGS. They spent the entire day together and Michelle got to see all sides of him. They clicked instantly and by the end of the date Michelle was truly impressed buy the gentleman which Barack was. After three years of courtship, Barack and Michelle got married, in October 1992. Nothing much has changed since that day, apart from the fact that Barack Obama become the President of the United States and Michelle, the first lady. But their love for each other is still the same. Even while addressing the public, they don’t fear and hide under the veil of fake. They are what they display, they are open about their love, and express it in a beautiful way whenever they want to. 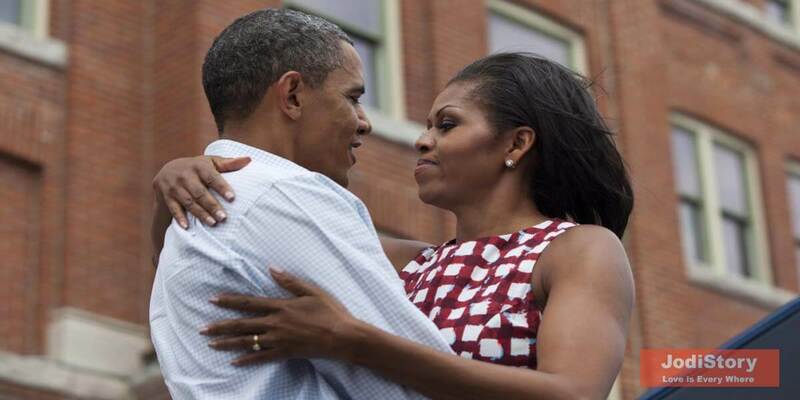 This couple is often seen doing cute things for eachother, like Michelle adjusting his tie and Barack gently hugging her and those adorable fist bumps, all these little things depict the love that they have been sharing for over 28 years now and how pure it is. This couple is truly a power couple, having spent over 28 years together, their love for each other hasn’t changed at all. They adored each other then, they adore each other now. On his wedding day, Barack didn’t promise her any riches. He promised her a life that would be interesting, which he truly delivered. Previous articleHow far can you go for Love, if it demands you to sell your Kidney?